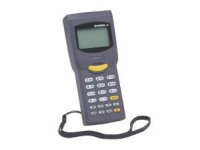 The Dolphin 75e hand held computer is a versatile multimodal device that delivers significant operational gains and flexibility for the enterprise. 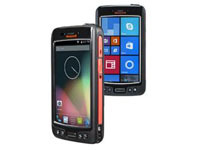 Featuring a sleek, pocketable design and yet durable enough for tough work environments, the Dolphin 75e device is efficient, easy to adopt and offers enterprises a lower total cost of ownership than traditional single-purpose devices. When hands are occupied serving customers or replenishing store shelves, users of single-purpose devices have reduced ability to access or capture information – minimizing the timesaving benefits and productivity gains for enterprises. 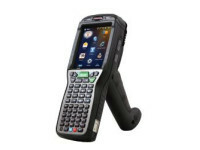 With the Dolphin 75e device, mobile professionals can use complex, data-intensive applications with multiple input modes; including speech, stylus, touch, and keypad gestures; to get more work done with fewer errors. The 75e empowers workers to capture different kinds of information than traditional single-purpose devices, such as 1D and 2D barcode scans, digital signatures, and annotations on images, generating richer, more robust information in less time to improve inventory management, close more sales, and enhance customer service. Equipped with battery technology, the 75e powers through a full shift without interruption to replace or recharge the battery to get the job done. The sleek, pocketable design and easy-to-use interface encourages fast and easy adoption with minimal training resources. 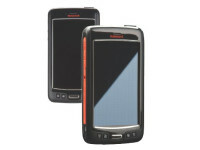 Designed for a superior user experience, the 75e offers a vivid, 4.3” Corning® Gorilla® Glass multi-touch screen that is viewable even in sunlight and a durable IP67-rated design, so the device keeps working even if it is dropped or completely immersed in water, making it ideal for use in the retail backroom, busy shopping areas, or in hectic line-busting environments. The Dolphin™ 75e offers unparalleled versatility and future-proofing capability. With the choice of Microsoft® Windows® and Google® Android™ operating system configurations, enterprises can take advantage of the flexible support and migration platform that can be customized according to use case and that integrates with existing and future IT infrastructures. WE8H: Dedicated center scan button, back button, home button, volume up and down keys, power button. Programmable triangle and circle buttons. Camera: 8.0 megapixel camera with autofocus and flash with advanced software features for better image quality.